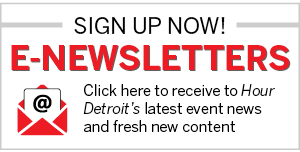 Hour Detroit is bringing the Best of Detroit issue to life at the tenth-annual Best of Detroit Party on Friday, June 19 at MotorCity Casino Hotel. Join Hour Detroit for an enchanted evening featuring cuisine from more than 30 of the most legendary restaurants in Detroit, fabulous cocktails, and mesmerizing performances by Ben Sharkey, DJ Prevu, Jared Sykes and DJ Captn20. The event is hosted by Jay Towers from Fox 2 and 100.3 WNIC and benefits the GIVE Detroit Challenge. Previous articleBrewery Profile – Greenbush Brewing Co.